Oooh, I like this one!! the air balloons are awesome and the colors look so soft. 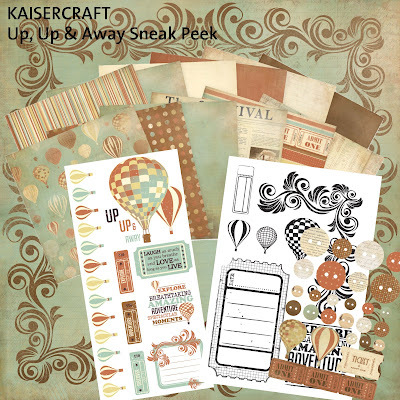 This is nice...not necessarily one of my favorites from Kaisercraft. I usually love all their collections, but this one....not so much. Like the concept . . . hot air balloons, tickets. . . the colors: not so much. Very french is the first thought that came to me but not sure why. I like but not sure if I would use.